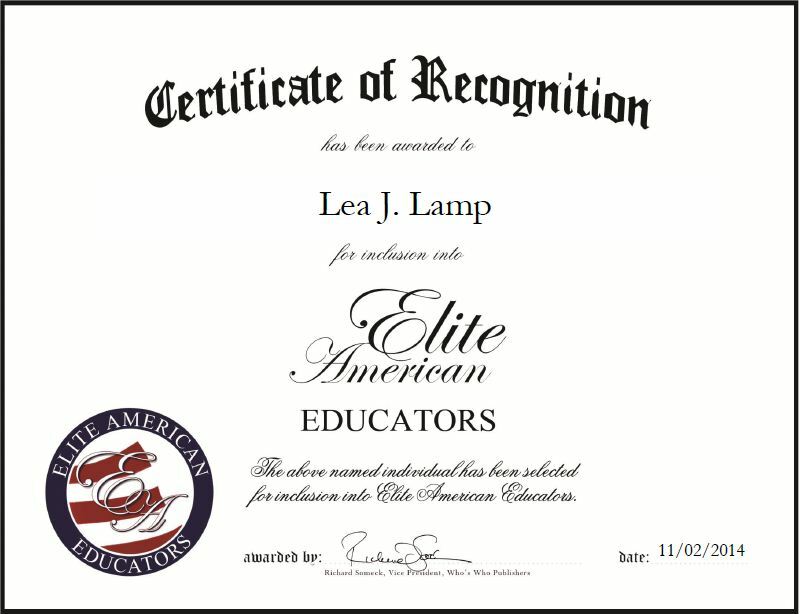 Phoenix, AZ, November 7, 2014, Lea J. Lamp, Teacher at Deer Valley Unified School District, has been recognized by Elite American Educators for dedication, achievements and leadership in expanding the minds of students. Ms. Lamp was inspired to enter the education field by her family members who were also teachers. She has dedicated 38 years of service to the field and has become a well-respected teacher who is known for her ability to connect with the children and encourage them to reach their full potential. Ms. Lamp teaches sixth-grade students and also educates students on the dangers of alcohol and drugs. Her goal is to encourage her students to live healthy, well-rounded lives. Ms. Lamp was named Teacher of the Year in 2006-07 and is a certified principal. She believes she has been able to excel in her professional endeavors due to her passion for mentoring the world’s future leaders. This entry was posted in Middle School and tagged drug and alcohol prevention, encouraging, sixth grade, teaching. Bookmark the permalink.